Threshing Mill which was rotting at the back of a ditch. After 9 months of restoration work, "The Thresher"
was put into action, on the harvest of that year. as they relive the sights and sounds of yesteryear. plough the soil, in readyness for next years crop. 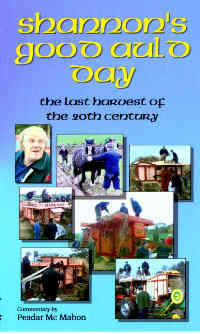 of ' the last harvest of the 20th century '.